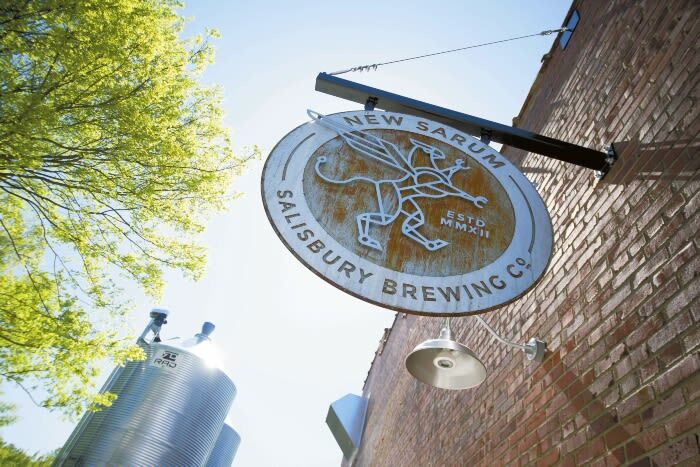 New Sarum Brewing Company, founded in early 2012, has been a successful nano-brewery. Born in the heart of Salisbury, New Sarum Brewing derives its name from the original settlement name of Salisbury’s Sister City “Old Sarum” England. Each recipe begins with a study of an individual style of beer, searching history for proved and tested methods of creating the foundation. New Sarum uses this to find new ways of developing each beers' unique flavor. Enjoy one of their unique brews while enjoy musical entertainment available throughout the year.